This is an amazing handcrafted brooch made by Steve in out studio. 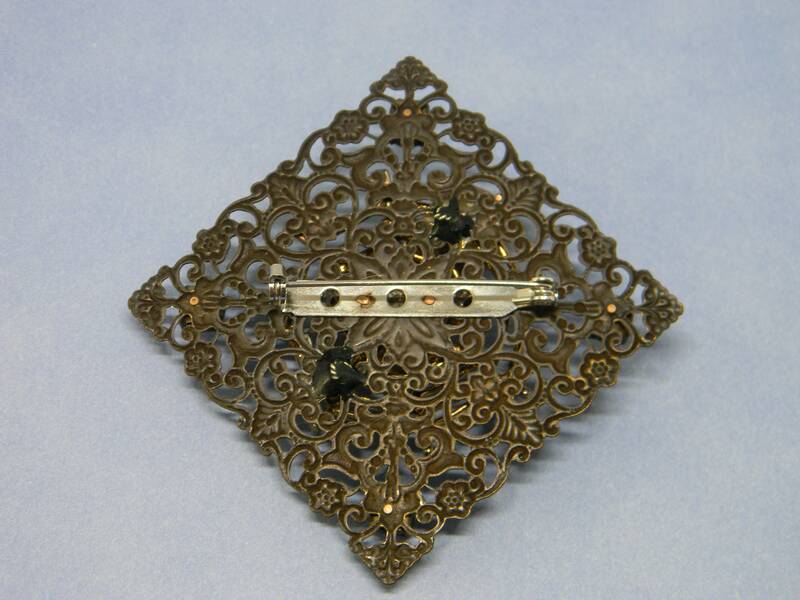 The dark brass base is square with an open work filigree flower and leaf design and measures 2 1/8” on each side. 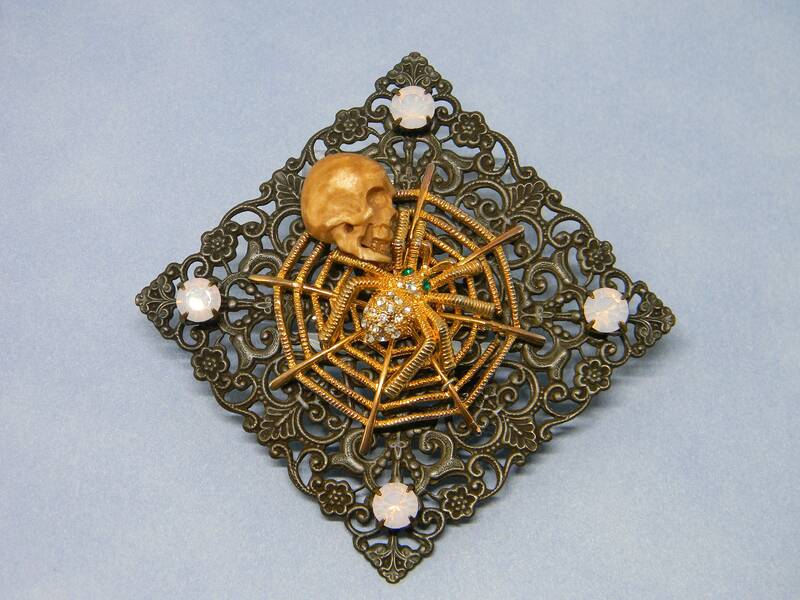 The center is a brooch with the pin removed and is a goldtone spider web with a goldtone spider that has a sparkly clear crystal rhinestone body and head sitting in the middle of the web. In one corner of the web is a resin weathered skull. Each corner of the base has a pink AB rhinestone accent. This is unique piece that is definitely one of a kind and one that will catch everyone’s eye!